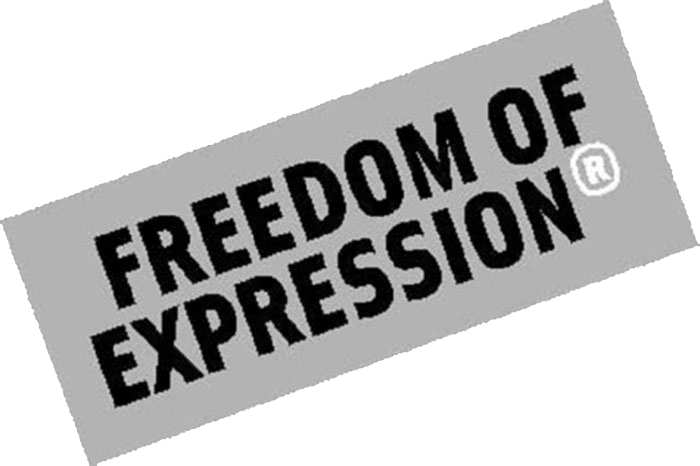 Freedom of expression is key to a country’s readiness to become part of the EU. It implies a commitment to democracy, good governance and political accountability. Accordingly, no country can join the EU without guaranteeing freedom of expression as a basic human right (Article 49 of the Lisbon Treaty). Ensuring freedom of expression and of the media is one of the main challenges facing enlargement countries. Political interference in the media, economic concerns such as media concentration and various forms of harassment, including violence against journalists, remain topical issues in societies of the Western Balkans and Turkey. Improving this situation inevitably goes beyond a simple transposition of EU rules: it calls for behavioural and cultural change in politics, judiciary and media. EU financial grants in support of freedom of expression are provided to media and non-government organisations throughout the region on a competitive basis and following strict procedures. All grantees have full editorial independence and are solely responsible for the content of published material. The EU expects the authorities to ensure an environment supporting freedom of expression and of media. Media criticism is essential to ensure the proper accountability of elected governments; governments should in turn be open to investigate such criticism in a transparent fashion. The media outputs were to raise awareness on topics such as efficiency in the judiciary, law enforcement and fight against all forms of crime, support for refugees, IDPs and asylum seekers, fight against corruption, abuse of position and office, protection of media freedoms, regional cooperation and war crimes investigations and trials. The detailed project proposals originate with and are owned by the applicants; the EU does not influence their editorial policy. A new call was published in April 2015 under IPA II, Civil Society Facility and Media Programme 2014-2015, which aims at strengthening the freedom of expression and investigative reporting through quality media production in the area of rule of law. An enabling regulatory and policy environment for media freedom and media pluralism will be enhanced, as well as the functioning and influence of the Press Council be strengthened. In addition the EU supported the work of the to the self-regulatory body Press Council with €200,000 direct support in the form of an action grant for the period of 2 years. The activities include regular informative press sessions on the Council’s activities and monitoring, research and analysis of media content; media campaign aimed to inform public of the role and importance of media self-regulation, and the role of the Council in enforcing it; public events on national and local level aimed at explaining the benefits of self-regulation to all target groups, including the public; consultation sessions for judiciary and newsrooms; seminars/lectures for journalism students. Direct grant was signed in June 2015. In 2016 €500,000 will be provided in the form of technical assistance support for two Public Broadcasters (RTS and RTV) for the improvement of their financial management and Regulatory Body for Electronic Media. EU grant schemes are a transparent mechanism to co-finance project proposals which contribute to the achievement of EU policy objectives, observing the principles of equal treatment and proportionality. They are administered by the Contracting Authority in line with the EU Financial Regulation and the Practical Guide for Contract Procedures for EU External Action (PRAG − http://ec.europa.eu/europeaid/prag/document.do?locale=en). Grants are awarded following calls for proposals. In order to ensure transparency and attract as many potential applicants as possible, prior notifications and calls are publicized (including on the internet), and open information sessions are held. The evaluation process is based on clear, pre-defined selection criteria (comprising eligibility of applicants, actions and costs, as well as financial, operational and technical capacity of the applicants). Everyone meeting the eligibility criteria is free to participate. The award criteria are based on the quality of the application that maximises the overall effectiveness of the call (incl. compatibility with objectives, the impact, sustainability and cost-effectiveness of the proposal). Proposals are assessed by an evaluation committee which possesses the technical and procedural competence to perform the evaluation. Independent and qualified assessors may be used to assist at every stage of the evaluation procedure. The selection and award of proposals is done strictly in line with the rules of the published call for proposals, following an established rating list and subject to the budget of the call. The results of the evaluation are notified to all applicants and grant contracts are concluded with the successful ones. The results are also published on the EuropeAid website, on the site of the Contracting Authority and any other appropriate media. It is important to note that the views expressed in any media production funded by the EU do not express those of the EU or the EU Delegation. Any article published should carry a disclaimer to that effect which should read: “This publication/article/product has been produced with the assistance of the European Union. The contents of this publication are the sole responsibility of <name of the author/contractor/implementing partner/international organisation> and can in no way be taken to reflect the views of the European Union.” This is a standard requirement for the EU funded project. The award celebrates and promotes outstanding achievements of investigative journalists and improves the visibility of quality investigative journalism in the Western Balkans countries (Albania, Bosnia and Herzegovina, Kosovo*, Macedonia, Montenegro and Serbia) and Turkey. The award was established by the European Commission, DG Enlargement, following the EU Enlargement Strategy which recognises strong need for ensuring freedom of expression in the media, and for support to investigative journalism to monitor the reform processes. The EU award for investigative journalism is given each year in each of seven countries in the period of three years: in 2015 (for achievements in 2014), in 2016 (for achievements in 2015) and in 2017 (for achievements in 2016). The award fund for seven beneficiary countries for three years in total is €210,000. Annual award fund for each country is €10,000; several journalists have been awarded in each country each year; individual prize is normally between €3,000−5,000. The award is administered by the regional partnership of civil society organisations, coordinated by the Peace Institute in Ljubljana, which was selected for that task by the European Commission. In each of seven beneficiary countries, independent juries award the prizes.